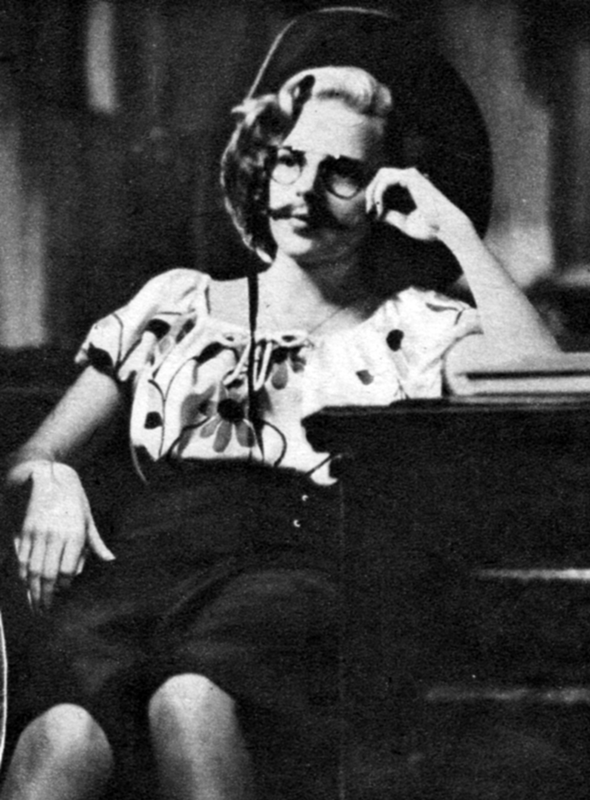 April 25, 1938: Judy recorded two singles for Decca Records at the label’s studios in Hollywood, California: “Cry, Baby, Cry” and “Sleep, My Baby, Sleep” both released on Decca Single #1796 in May of 1938. Spike Jones played the drums for this session. 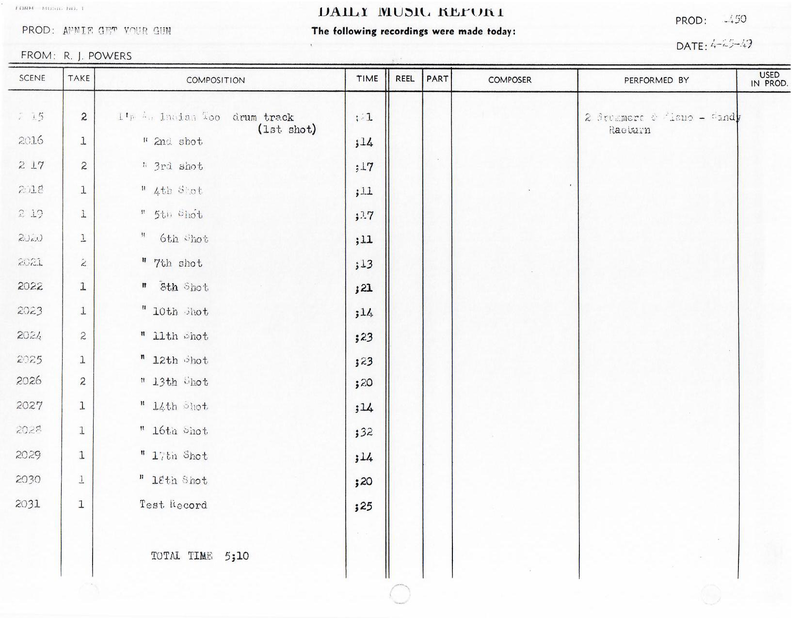 For details (and tons of photos) of Judy’s Decca recordings, check out The Judy Garland online Discography’s Decca Records pages here. The alternate (“B” take), of “Cry, Baby, Cry” was mistakenly issued instead of the “A” take when Decca released its two-LP set “Collector’s Items” in 1973. April 25, 1940: Filming continued on Strike Up The Band, specifically scenes shot for the prologue and on the “Exterior/Interior Delmonico’s” set. 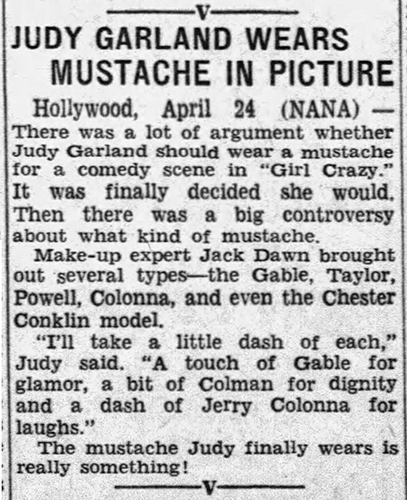 Time called: 9:00 a.m.; dismissed: 4:30 p.m.
April 25, 1943: Judy wears a mustache. The scene was deleted from the final cut of Girl Crazy. April 25, 1945: Filming continued on The Harvey Girls, with scenes shot on the “Exterior Picnic Ground” and “Interior Harvey House” sets. 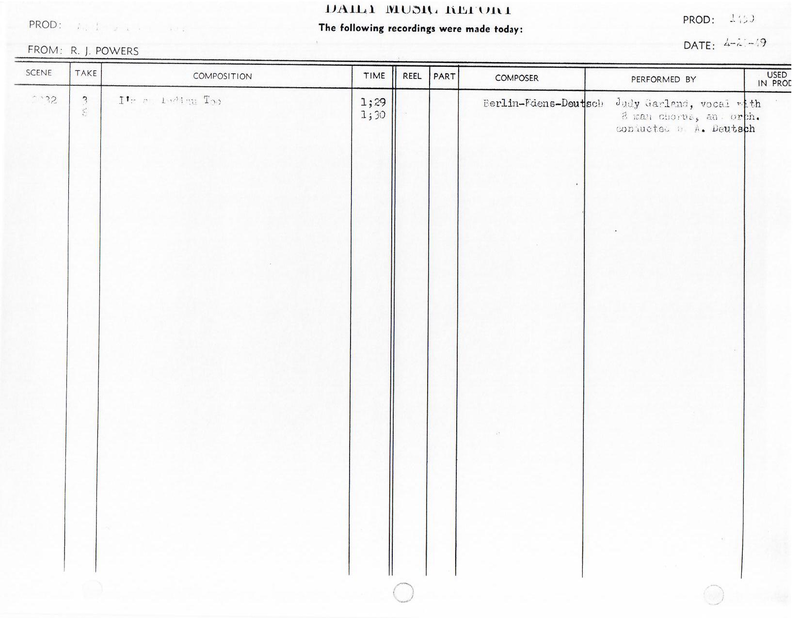 Time called: 10:00 a.m.; Judy arrived at 11:15 a.m.; dismissed: 5:30 p.m. Photos: Cover and back cover of the 1980 bootleg soundtrack LP. April 25, 1947: Filming continued on The Pirate with scenes shot on the “Interior Show Tent” set, specifically the “Voodoo” number. Photo: Poster artwork created by Meg Myers. Thanks, Meg! April 25, 1949: Recording session at MGM for Annie Get Your Gun. Judy pre-recorded “I’m An Indian, Too.” She arrived at 1:15 p.m. and finished the song in fifty-five minutes, dismissed at 2:10 p.m. The pre-recording stayed in the MGM vaults (aside from some poor-sounding bootleg LPs in the 1960s and 70s) until it premiered on the 1994 CD soundtrack to “That’s Entertainment! III” in which it was a featured segment. 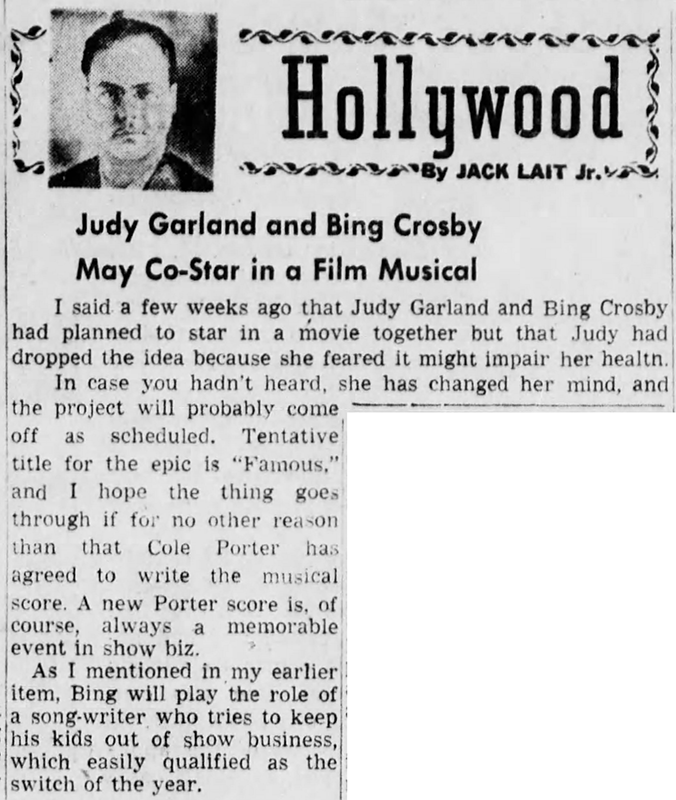 April 25, 1951: Judy’s colossal success at the London Palladium in 1951 followed by even greater success at New York’s Palace Theatre in 1951/52 prompted Hollywood to consider her for several film roles that never materialized, listed below. 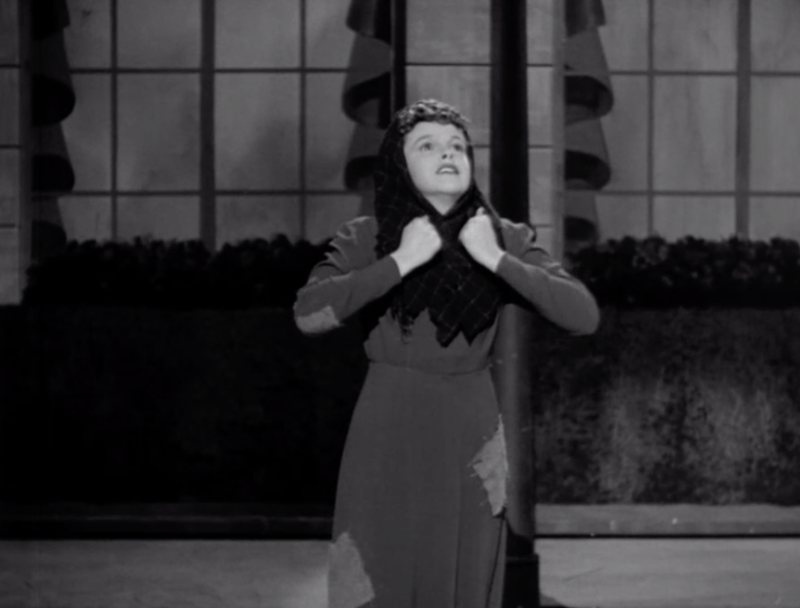 The on-screen teaming of Judy with Bing Crosby has always been one of the major “missed opportunities” of Judy’s career. She and Bing were magic together on the Decca Records singles they recorded and the many wonderful radio appearances. Below is a listing of some of the projects Judy was allegedly considered for during this time. 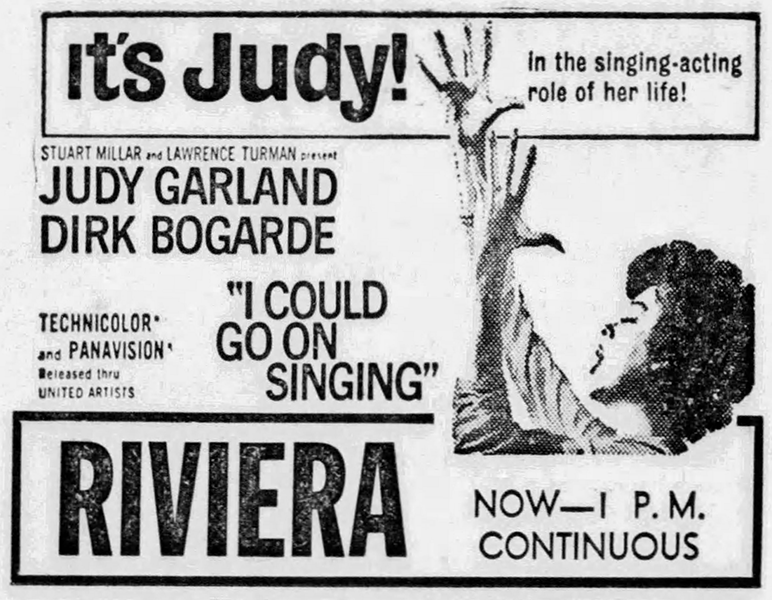 More details about all of the film projects that Judy was considered can be found at The Judy Room’s “Films That Got Away” pages. Just For You (aka Famous) (with Bing Crosby) – The film was made with Crosby and Jane Wyman in 1952. 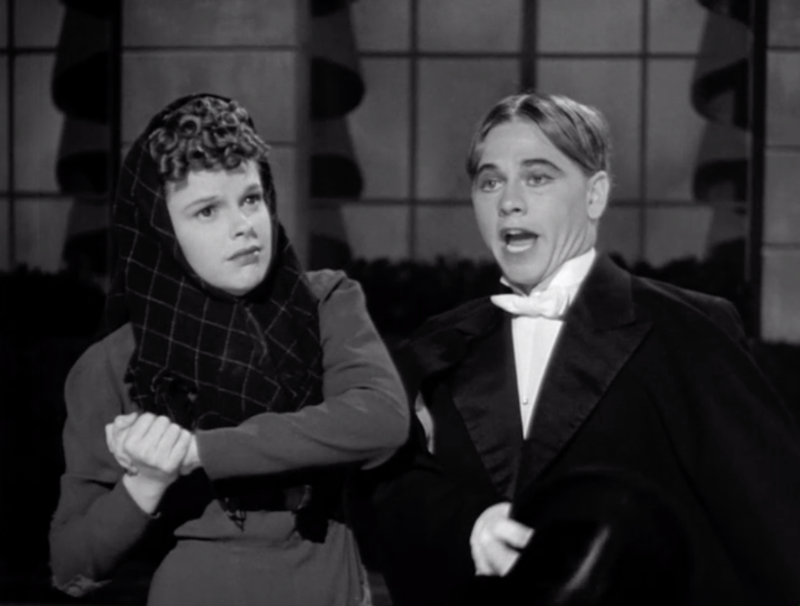 Paramount wanted Judy to co-star with Bing Crosby and “Hopalong Cassidy” in a western. Kiss Me Kate – made my MGM in 1953. 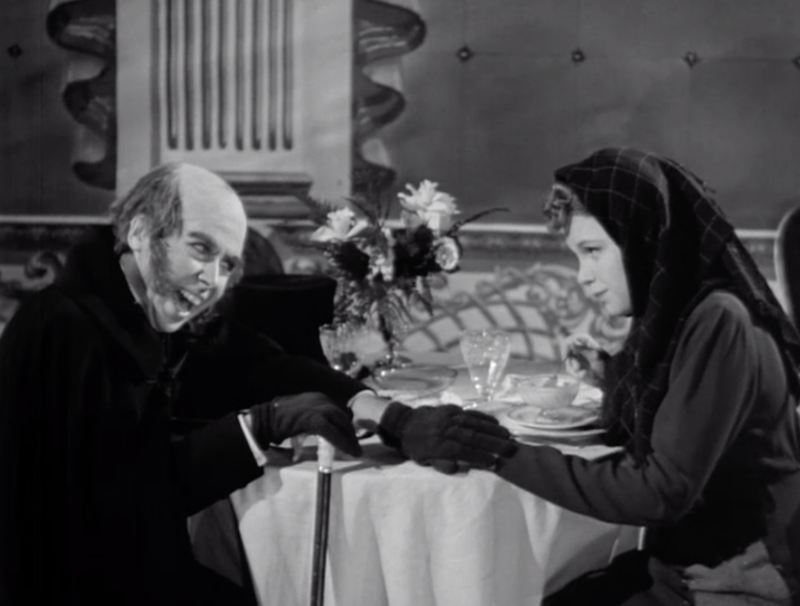 The Stubborn Wood (1951/1953) – Actor Paul Henried wanted to make this film, based on the 1948 Emily Harvin novel about a husband who has his wife put in an insane asylum just to get her out of his life. That would have been interesting. 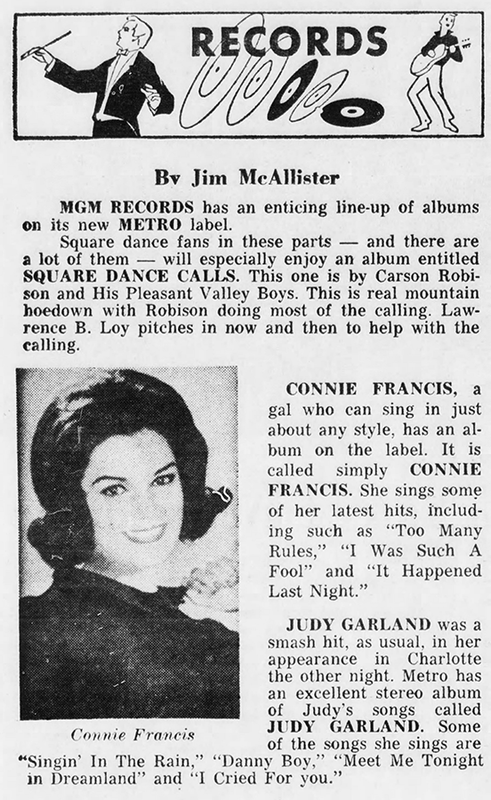 April 25, 1963, & April 25, 1965: Two reviews of then-recent Judy Garland compilation LPs from MGM Records. 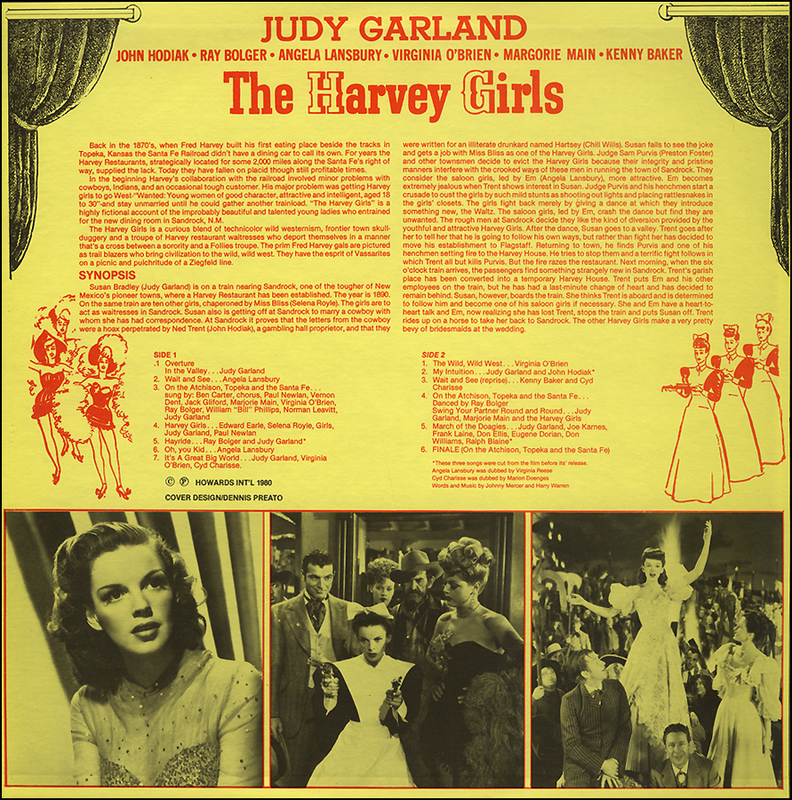 Every few years the label released new compilations of songs from Judy’s films that were originally released by MGM Records in the late 40s and 1950. 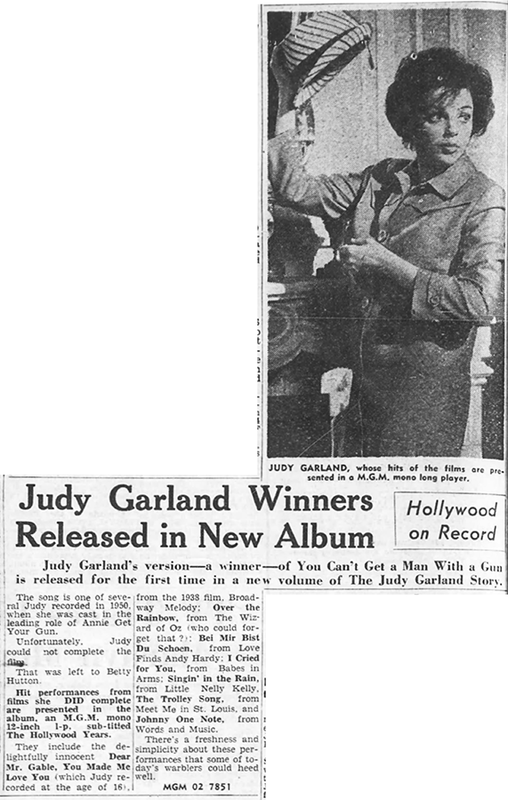 In 1965 MGM Records released another Garland compilation on their “Metro” label, simply titled “Judy Garland.” This time the LP was in “stereo.” The recordings used were all in mono but the label “electronically enhanced” them to create a stereo sound on a stereo LP made for stereo styluses. The effect sounded more like they increased the bass in one channel and the treble in another, adding some echo to balance it out. Over the years the label released these stereo enhanced recordings as well as the mono versions. 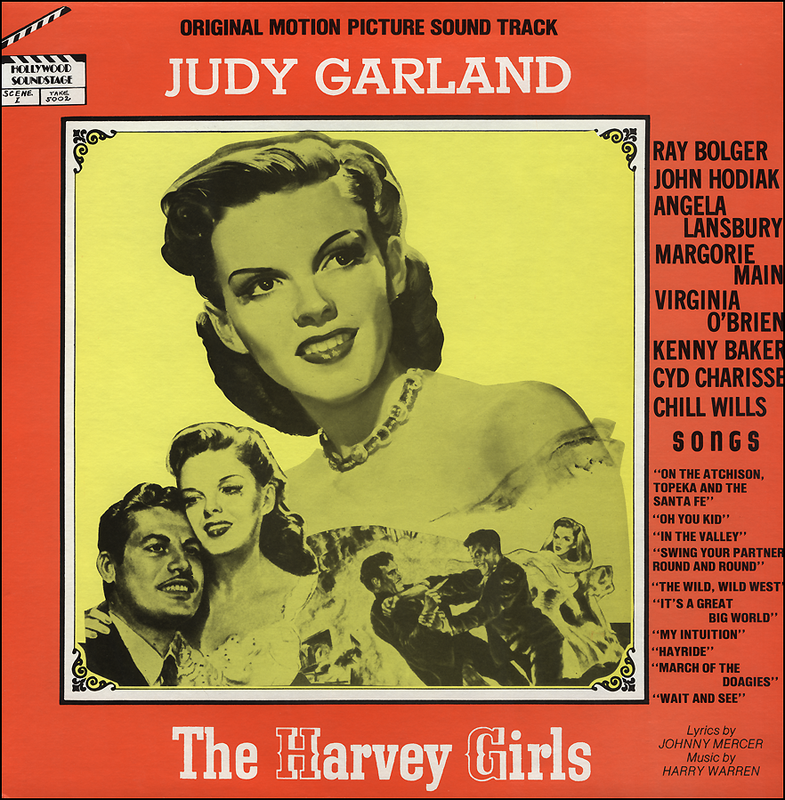 Check out The Judy Garland Discography’s “Soundtracks” pages for information about all of these MGM Records compilations as well as all of the various releases of Judy Garland soundtracks over the years. 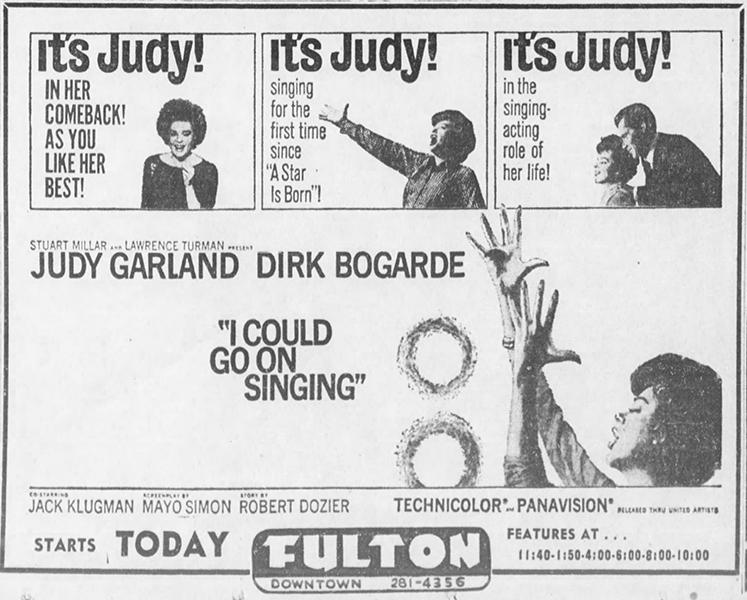 April 25, 1963: I Could Go On Singing was playing in a theater near you!